Here is the perfect gift for him! 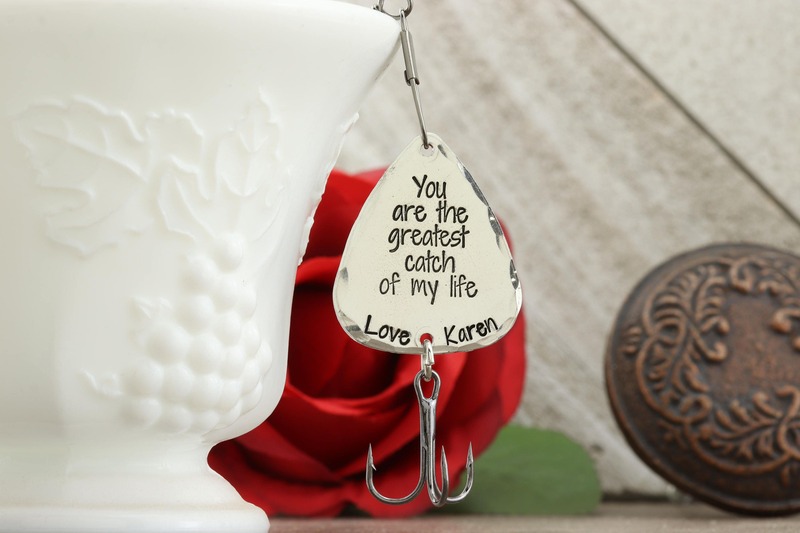 This personalized fishing lure features the phrase "you are the greatest catch of my life" along with "Love and "your name" at the bottom! 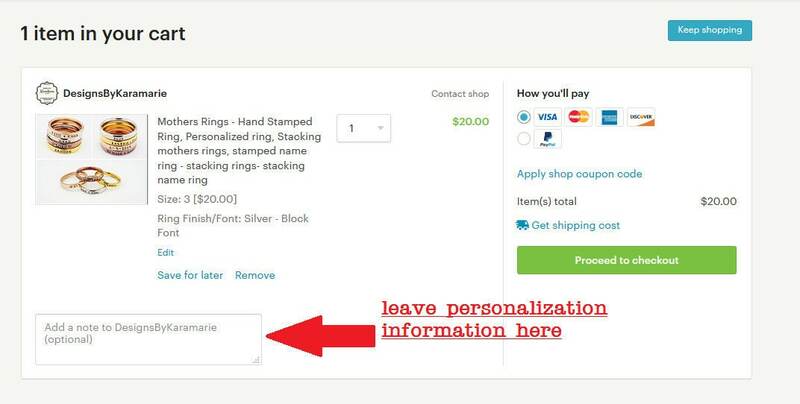 IF YOU WANT A PHRASE OTHER THAN WHAT IS PICTURED, YOU MUST CONTACT ME FIRST AS IT WILL INCUR A CUSTOM ORDER FEE BASED ON THE PHRASE! 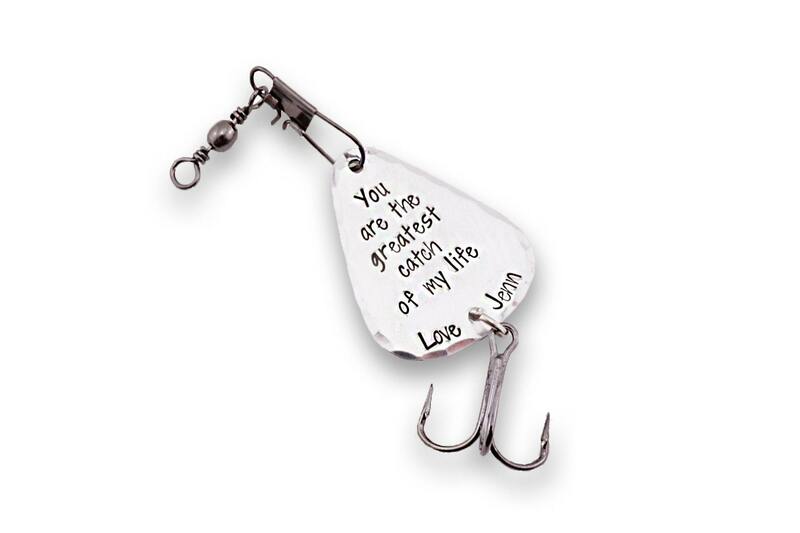 This item includes a REAL fishing hook, with very sharp points. This item is NOT recommended for anyone under the age of 18. Please be very careful when handling this item, as Designs by KaraMarie is not liable for any bodily injury or harm arising from this item. Due to the hand stamped nature of this item, each piece will be slightly different and the letters will have different spacing. This item is made out of solid, lead free pewter that I cast myself!